(1) City Budget: Remains a top issue. While the city council is doing a solid job of working within a very limited budget, San Carlos is falling short of providing its residents with all that the city has to offer. Budget shortfalls have resulted in reduced city service hours, building closures such as the Kiwanis Building at Burton Park, improvements have been put on an indefinite hold and Measure U (city sales tax increase) is being put before the voters in an attempt to try and generate additional revenue for the city. Unfortunately, many projects in San Carlos only materialize if they are heavily funded by a Measure or donations. The new city council will be faced with the unenviable task of creating a budget that will one day be able to restore city services and reserve funds for improvements. (2) Eastside Transit Village: This is a massive project which includes a proposed 280 apartment units, 30,000 square feet of retail and office space and a new Cal Trans Transit Station. Read more about the project by clicking here. The buildings are projected to be 2-4 story buildings, which should have some impact on the homes on the east side of San Carlos. The city council would be wise to listen to a many of the residents who are not happy with the 1001 Laurel Street project to make sure that similar issues are not duplicated with this proposed project. Finally, when I first saw that 280 apartments were being proposed, my first thought was the impact on our schools. To say that our schools are already overcrowded is an understatement. (3) San Carlos Schools: Speaking of schools, if you are one of the many elementary school parents out there wondering if your child is going to be shut out of their assigned school or if the boundary lines for the San Carlos schools are going to be re-drawn, you are not alone. The San Carlos School District simply does not have the money, space or resources to substantially minimize the impacting issues. I think it is naive to believe that there is not going to be some type of major overhaul to the current street/school assignments. Additionally, money is a huge issue for the schools each year. San Carlos is very fortunate to have the fund raising efforts of the San Carlos Education Foundation (SCEF) and the passage of Measure B (parcel tax benefiting San Carlos schools). (4) Athletic Field Shortage: The eight year synthetic turf saga seems to be coming to an end, with the city council voting to move forward with the proposal to install synthetic turf at Highlands Park. Even with the proposed synthetic field installed, the city still faces a massive shortage of fields and cannot come anywhere close to satisfying the requests for field space. What many folks don’t realize is that San Carlos did have several more fields at one point in time. However, in the early 1980’s those fields were basically sold off for housing. For instance, the old San Carlos High School had four baseball/softball diamonds and four full sized soccer fields. The new configuration allows for two soccer fields three baseball diamonds. Additionally, San Carlos used to have a field where the homes on La Mesa Drive are currently built. When the population of San Carlos suddenly turned to many young families in the 1990s, the city was caught short on field space and the problem progressed ever since. The decision to install synthetic turf at Highlands is based on the premise that since the city does not have any space to build additional fields, they are trying to maximize the use of the fields they do have. (5) Downtown Parking: Feel like driving to downtown San Carlos for lunch? Prepare to circle the block a few times or park quite some distance from your intended destination. Wheeler Plaza (behind the old Foodville location) seems to be the most likely target for additional parking or a parking garage. However, the city appears to have slightly different plans for the plaza. You can find more information on the redevelopment of Wheeler Plaza by clicking here. This is a good news/bad new situation. The good news is that downtown San Carlos has created enough of a buzz to clearly attract the dollars of residents of neighboring cities. The bad news is that without improved parking conditions, downtown merchants will not be able to maximize their customer base. (6) High School? : Call it whatever you want, but many long time San Carlans call it the worst move in the history of San Carlos. The decision to tear down San Carlos High School after the Sequoia Union High School District decided to shut the doors has been the achilles heel of San Carlos since the early 1980s. Now, in fairness, hind sight is always 20/20. San Carlos made a considerable amount of money on the Highlands neighborhood. However, now imagine present day San Carlos with its own high school. For those that were not around to ever see San Carlos High School, it was a beautiful campus in a fantastic setting. For the short time that it was around, the school had a wonderful reputation and great traditions. Talk to any former graduates of SC High, and they will tell you what a great experience it was. From a real estate perspective, the high school issue is one of the top, if not the top drawback for families considering moving to San Carlos. (7) Recent Crime Wave: For whatever reason, San Carlos has been hit by a recent wave of crime. The White Oaks, Howard Park and Clearfield Park areas have been hit especially hard. These are not violent crimes. Most of the crimes appear to be centered around breaking into cars and vandalism. Parts of White Oaks have took matters into their own hands and formed a Neighborhood Watch group. The cause of the recent wave of crime seems to be a bit of an unknown. Some have speculated that a downturn in the economy may be partly to blame. Whatever the reason, most residents are clearly aware of the increase in crime and are being more proactive with reporting suspicious activity. (8) Family Options for Laurel Street: I don’t want to spend too much time on this subject because it was the subject of a blog post about three weeks ago, however, it needs to be noted that San Carlos has a large contigency of families with younger kids, yet lacks many family friendly restaurants downtown. As mentioned, Town and a few of the others do a great job making kids feel welcome, but San Carlos really needs a few options for a less formal dining experience for families. I love Sneakers, but you can only go there so many times. Types of restaurants which would do well would be ones similar to a family style Italian, Jack’s Prime, etc. (9) Eastside Development: Many believe that the financial health of San Carlos is directly tied to the redevelopment movement in east San Carlos. There is a major push to persuade tax revenue generating businesses to hang their shingle in east San Carlos. You may have heard about a push for a higher-end hotel, which could impose a city occupancy tax in addition to normal business taxes. Hopefully, the proposed jail is now off the table….not exactly the type of revenue source the city is looking for. 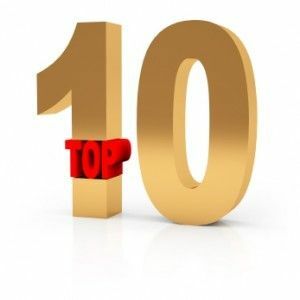 (10) Real Estate: Of course, you cannot have a Top 10 in San Carlos without discussing the real estate market. The good news is that San Carlos has clearly made a bit of a rebound over the past 2 months. Many properties under the one million dollar mark have gone with multiple offers. Currently, we have only 52 Active Single Family Residences and 37 Single Family Residences which have a Pending status. That is an outstanding ratio. I just want to address #3 above (schools). Although certainly the difficulr budget environment remains an issue (as it does for every school district in the state), the San Carlos School District made substantial progress in placing the families who were on the wait list to White Oaks into that school. From a waiting list that once numbered around 70 students, only 16 students were not able to get in to White Oaks at the start of the school year yesterday. The new Superintendent is actively addressing the enrollment process and creating a new system which will hopefully avoid the level of anxiety and uncerainty that happened this year, and any solution could potentially affect boundaries. But in any case, what makes San Carlos special is that it has seven equally excellent schools which make it desirable to live anywhere within the boundaries of the School District. Of course I agree that this success is largely due to the support from our parcel tax measures and the private money raised by SCEF. Unfortunately these approaches are requirements in modern-day California if a community wants top-notch schools. Thanks, Seth. Well said, and thanks for the additional information. Regarding #8 – check out the following restaurant’s website (they were just voted one of the top 10 restaurants by Parents Magazine). These restaurants are very successful in the Midwest and would be a fabulous addition to San Carlos. Regarding #8 above, below is a link to a family-friendly, healthy restaurant that would be a great addition to our town. These restaurants are popular in the Midwest and they just became of the of the Top 10 Best Restaurants by Parents Magazine. I have been fortunate enough to have been to a couple of these restaurants and my family loved it. Check out their menu…..